The Economist’s Tom Gardner – Savior Complex? Time to end the misleadingly simplistic, culturally ill-informed, and politically dangerous narratives about Eritrea and the Horn region. Ulterior political motives aside, the problem with some mainstream media journalists, such as Tom Gardner, is their condescending attitude and misguided belief that they can dissect complex realities and processes in any African country in a couple of days visit. That’s an insult to the people’s intelligence. Much of western media coverage of the Horn of Africa tends to focus on negative attributes or problems. So when Eritrea and Ethiopia signed the “Peace and Friendship Declaration” on 9 July 2018, followed by the Joint “Declaration on Brotherly Relations and Comprehensive Cooperation” by Eritrea and Somalia on 30 July 2018, and then a visit by President Salva Kiir of South Sudan to Eritrea, there was expectation that the tone would change and the negative views on Eritrea that had persisted for a couple of decades would improve. 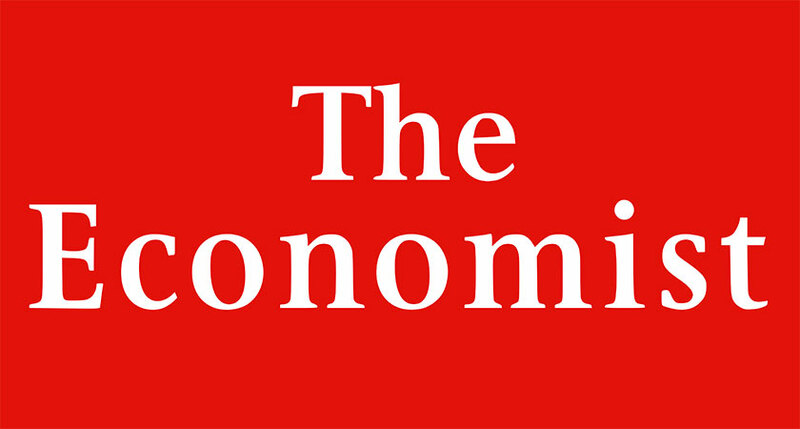 But since the news in the region was so politicized, it was hard for the Horn of Africa’s blithering network of conflict entrepreneurs, composed of self-professed “Horn experts”, journalists, and a network of foreign-funded NGOs, who determined the parameters of all discourse in the region, to accept the change and discard the usual narratives. For the last two decades, the Horn region and its peoples were depicted through a brew of negative myths [as arch enemies, sworn enemies, rivals, foes] and little was told about the century’s long history of communality, cultural exchange, and coexistence. The Eritrea Ethiopia conflict provided for two decades worth of articles for the Guardian, Telegraph, BBC, the Economist, and others. Journalists based in the region churned out several articles, each one trying harder than the other to cement the ugly narratives about Eritrea and her leadership. For the most part, aligned with their state policies, they sought to silence Eritrea’s voice, and amplify and elevate that of the minority TPLF regime in Ethiopia, the West’s “staunch ally”. Like Guest, Tom Gardner blames the government of Eritrea in general, and the President of Eritrea personally, for Eritrea’s domestic and international policies which he believes are wrong. He makes untenable comparisons between Eritrea and Ethiopia and insists on undermining Eritrea’s domestic and international policies. Allowing this Addis based journalist to enter Eritrea did not help change his condescending attitude and still insists on rehashing tired, debunked narratives and biases about Eritrea. Gardner omits, in his many articles, the international community’s aggressive 20-year-long effort to isolate and weaken Eritrea and strangulate its economy. Gardner’s obsession with the President of Eritrea, a man he has never met or spoken to, is evident in all his writings. The image of the Eritrean leader that he attempts to implant in his reports does not jive with the reality that the people of Eritrea and Ethiopia know and that irks him. It cannot be easy for him to witness the affection and respect displayed during his recent visit to Ethiopia. He cannot come to terms with the reality and recognize him as the peacemaker in the region. Gardner’s attempts to separate President Isaias from the people are childish and futile. Whether the west approves of his governing style and policies or not, he is Eritrea’s president, and he has earned the peoples trust and respect through hard work, not empty sermons. There were those in his circles that defended his negativity and bias and said his articles were being “critical” as if that gave him a carte blanche license to write falsehoods about Eritrea’s leadership infantilize and insult the people. Being critical of the government does not mean he can criticize at will. Going to Eritrea did nothing to improve Gardner’s understanding of the country or its people. He went to Eritrea to search for anecdotal evidence to support the pre-conceived narratives in his articles. He is not alone. It is how most foreign journalists report about African states. To back the often repeated narratives Gardner brought with him to Eritrea, he relies on anecdotal evidence from a “group of young men in a bar”, “a 40-year conscript”, admissions by “senior officials to foreign diplomats” etc … to write his articles. Not sure what this has to do with anything happening in Eritrea today, or what if it was newsworthy, or just another statement to undermine Eritrea and its leadership, but this is what he repeated in all his recent pieces on Eritrea. While the above statement may have some truths, it lacks context. The shallow comparison in the price of Teff between the two countries …as if Teff was the only grain used in Eritrea, reflect the superficiality of his knowledge about the country he jetted into. Had Gardner done his homework, he would have known that before the war broke out, Eritrea imported Teff from Ethiopia and that it was not the dominant grain used in the country. He would have known that millet, barley, and sorghum were also used widely. As with many developing nations in the world today, Eritrea, the second to last country to gain independence is a country where almost all transactions are done in cash. There are reports that states almost 80% of all transactions in Germany are conducted in cash, so it is not an issue unique to Eritrea. It just means that its digital infrastructure is still nascent and has a long way to go. It will also take some time to change the cash culture, even if, and after, credit and debit cards, or ATMs are introduced. It was only in the last few years that a checking system was introduced and even today, many were uncomfortable and reluctant to change the way they managed their banking. In many cases, individuals still prefer to use cash to pay for the majority of their expenses including utility bills, school fees, and other day-to-day expenses. There have been some efforts to introduce ATMs and it is a work in progress. The other issue that exposes Gardner’s insensitivity and ignorance of Eritrean culture is his explanation on the use of the billboards for bereavement announcements, which he arrogantly calls “advertisement”. The notices on the boards have nothing to do with having, or not having phones, as deaths of loved ones are NEVER told over the phone. These notices are made public only after the immediate family has been notified. Friends and family members go to great lengths to find elders and others that can personally inform the families of a death. If the family member is in the Diaspora, close friends or family are contacted in advance to personally carry out that task. These public notices are used to advise of visitation and funeral arrangements, to give others that may be impacted or want to offer sympathies to attend. So Gardner is dead wrong on this one. Gardner feels no compulsion to speak in a condescending manner and insult the intellect of the Eritrean people, especially those living in Eritrea. The conscious Eritrean people are capable of judging the reliability and credibility of news reports and its sources. He deliberately discounts the Diaspora and wants us to believe that his stints in Eritrea give him a better perspective than Eritrean citizens who travel to the country regularly, have relatives living in Eritrea. He says he is not being critical about the country, but rather its leadership. Yet, he refuses to engage with Eritreans who hold a different view of the country and has blocked every single person that challenged his views on Twitter. He labels those who defended Eritrea’s leadership as trolls and insinuated that they were paid by the government, all this, without providing a single evidence for his sweeping allegations. If Gardner wants to speak to power, it’s his own government that he needs to address. Eritreans don’t need a proxy. The politicization of news has greatly undermined the people’s confidence in the mainstream media that insults their intelligence and insists on speaking on their behalf. It is time to end the misleadingly simplistic, culturally ill-informed, and politically dangerous narratives about the Horn region. No doubt the conflict entrepreneurs were content with the lucrative billion dollar cottage industry they had established…but the recent developments in the region signal an end to that enterprise too…It is Game Over!